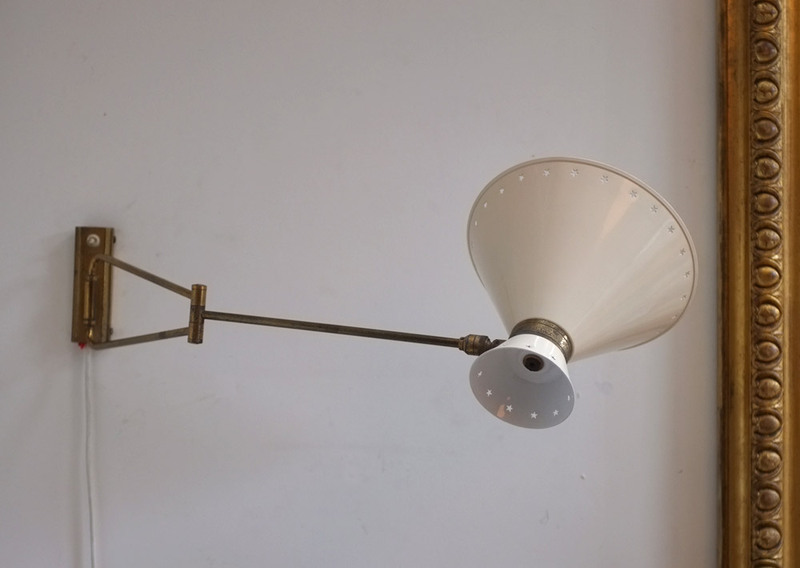 A 1950s articulated wall lamp designed in the 1950s by Rene Mathieu, France. 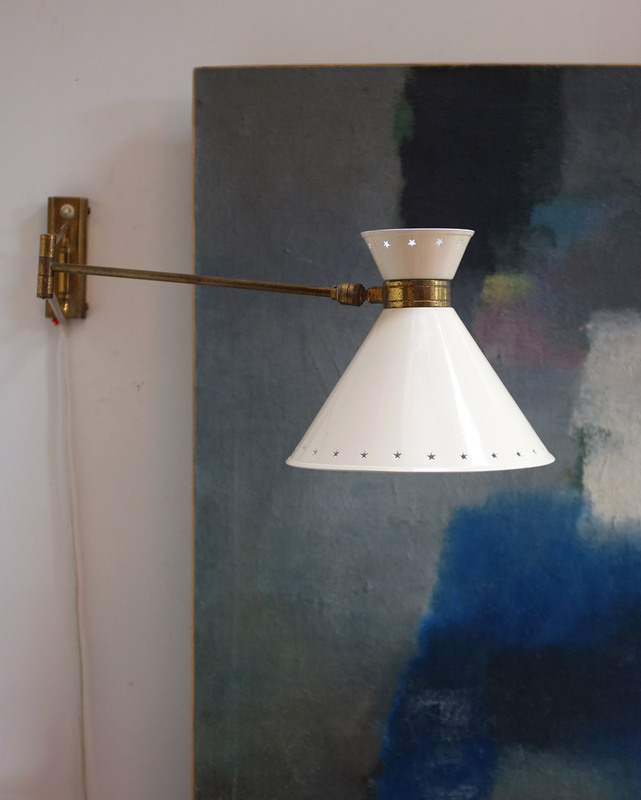 Pierced metal shade with brass arm and fixings. 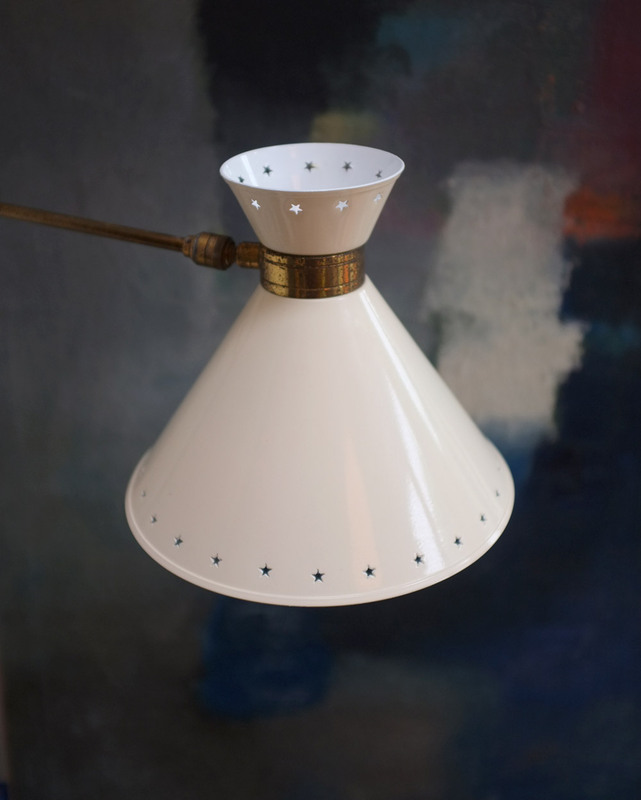 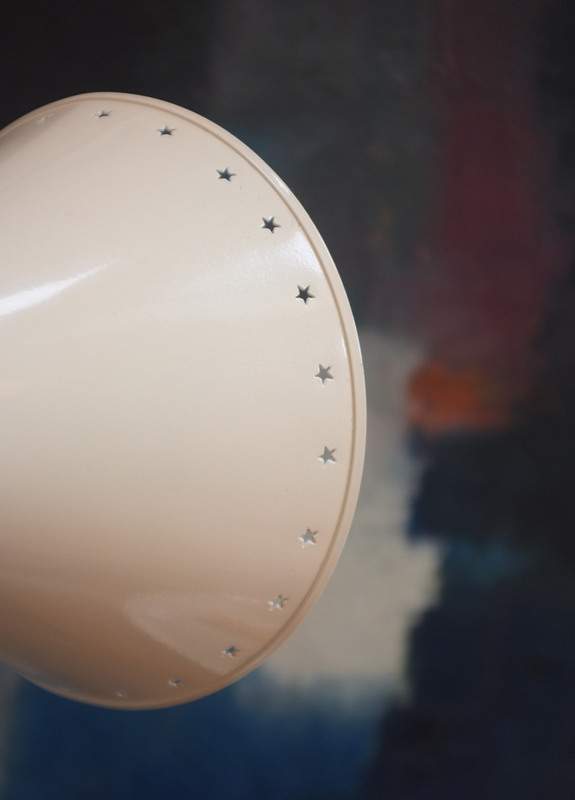 The cream shade has been refurbished, it has a minor ding, the brass has a fair amount of wear and patination.